Winter is prime time for furnace repairs. This is due to the extra strain heating systems face under the temperature drop. Since you rely on your furnace to keep your home warm and cozy, it’s important to be able to recognize any signs of equipment failure so they can be addressed right away. One of the most common indications of a problem is strange sounds coming from the unit while it’s in use. Here are a few noises to listen for and what they may be trying to tell you. Inside your furnace is an air handler that circulates heat through your home. A number of oiled bearings are installed inside, as well, to help reduce the friction that occurs while the air handler is running. Over time, these bearings will begin to wear out, causing a grinding sound as the friction increases. If you hear this, a furnace repair will be needed quickly to prevent the motor from burning out. 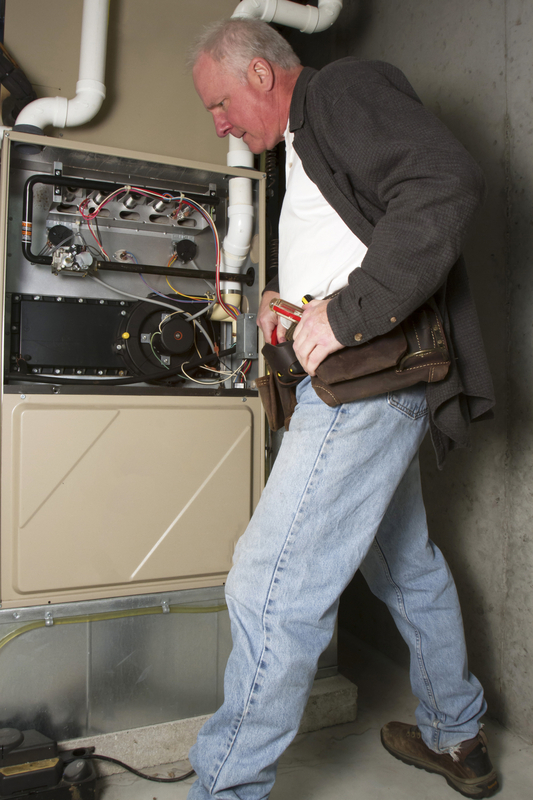 If your furnace is making a booming noise every time you turn it on, chances are there’s a delayed ignition. This can happen when carbon particles build up on the burner jets assembly. Eventually, this will cause them to ignite later than they should. When they finally do ignite, the booming sound is created by the jets burning through all the excess gas at one time. This can usually be resolved by cleaning out the burner assembly, but it will need to be done before a clog forms. This is the sound of metal striking metal, which may be a clue there is a loose part in the blower motor. If your furnace is on the older side, it could be clanging because of a loose fan belt. In situations where the clanging is quite loud and happening repeatedly, it’s likely a fan blade is bent and hitting the housing for the air handler. Even though this is a quieter noise than all the others, it can be one of the most dangerous. When a furnace is clicking, it often means there’s a cracked heat exchanger. If this is the case, it could allow toxic carbon monoxide gas to escape into your home. Call for a furnace repair immediately if you notice the clicking coming after the blower fan turns off. If you are worried about any of the sounds your furnace is making, don’t hesitate to contact H & N Plumbing, Heating & Electrical. A licensed heating contractor will be able to locate, diagnose, and fix the issue properly. For more than six decades, this family-owned company has been providing residents throughout Grant County, WI, with expert furnace repairs. You can count on them to restore your system back to peak performance so you can maintain a comfortable and efficient living space. Call (888) 822-3258 to request a job estimate or visit their website to schedule service.